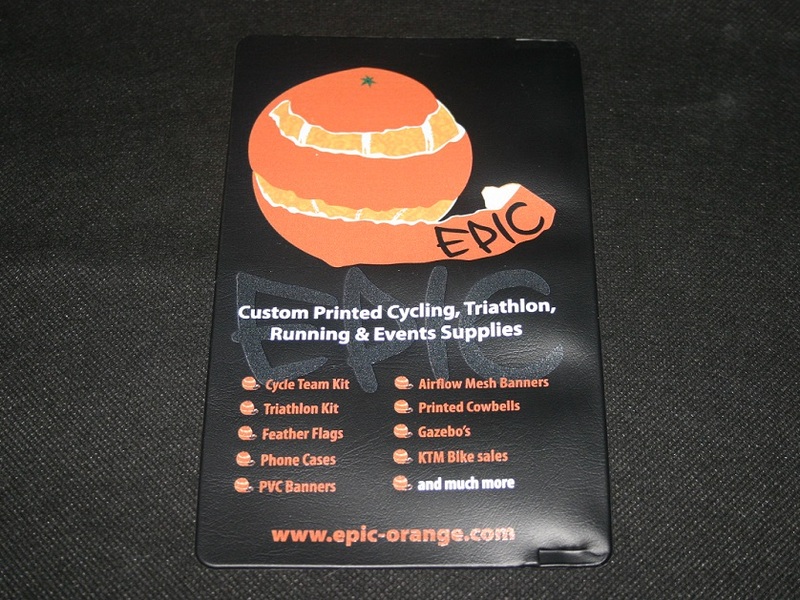 Designed and Manufactured in the UK by EpicOrange these phone cases are low cost and custom made to order. 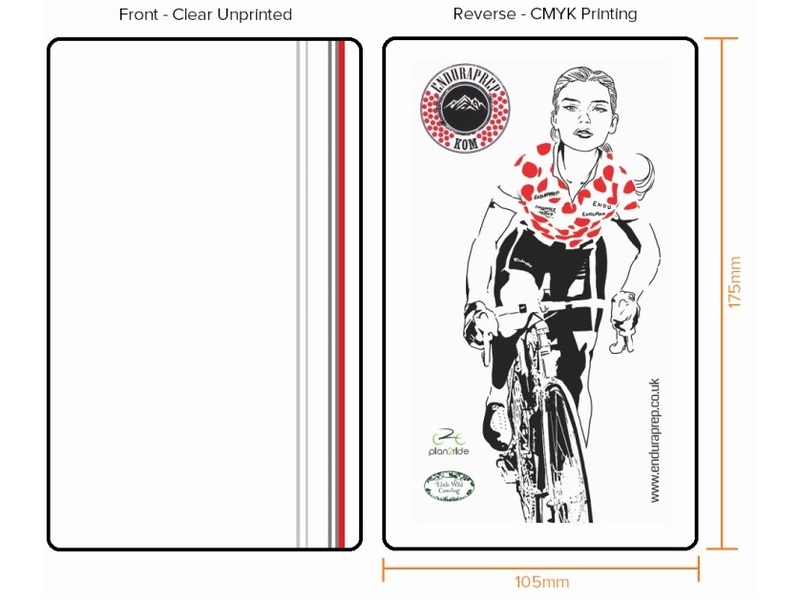 Available from just 100 units, they are an ideal low cost product which provides a useful and valued purpose across many sports. Made specifically to resist the worse the British weather can throw at them these mobile phone cases will keep expensive smart phones safe inside whilst still enabling them to be used! With more of us using fitness apps such as Endomondo, Strava (the list goes on....) our phones are vulnerable, not just to the wet ride home or training ride but also to the perspiration from our own bodies whilst training. 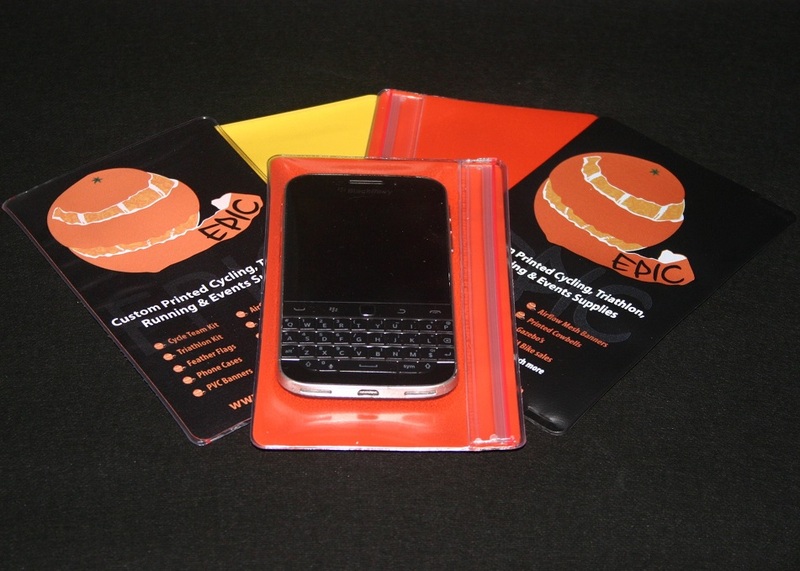 These practical, pocket sized Branded Mobile Phone Cases provide a low cost solution that has a high perceived value thanks to their ease of use, quality of branding and pound saving capability. Available in a range of options, from just 100 units! There are no limitations to print with branded in Full colour printing onto wide a wide choice PVC options. Our Phone Cases are suitable for all smart phones up to 5.5" screen and allow the operation of touch screen and keyboard Smartphones without removal from inside the protective case. 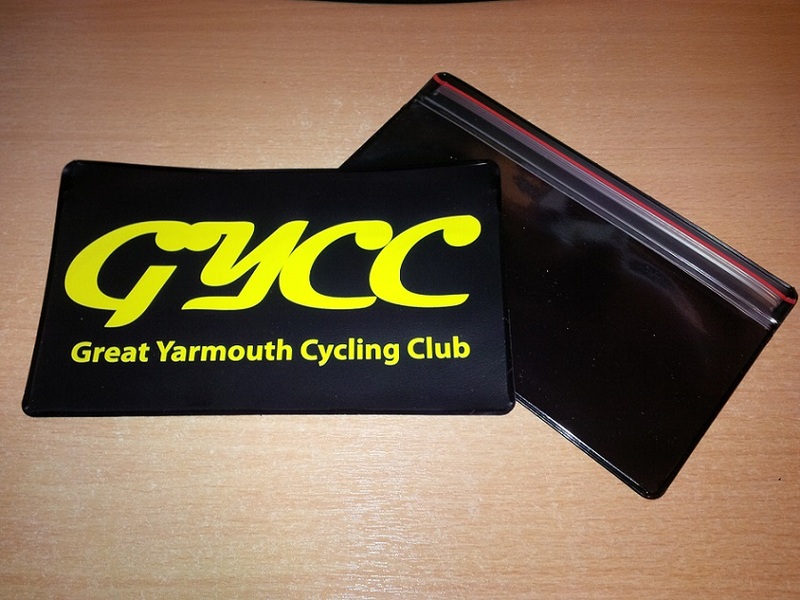 We can also provide Bespoke sized phone cases if required.